This month we celebrate Easter. Jesus rose from the dead to give you and me the promise of eternal life. Easter Eggs, Easter Bunnies are both favourites. But for Christians the Easter Promise is even more important. Death is probably what we most fear. The unknown. The end. Yet Easter means that for Christians death is not the end. 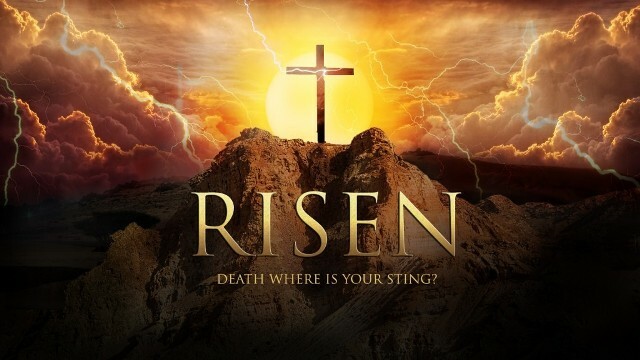 Death has been conquered and believers have been given eternal life. Yes, we shall all one day die, but not eternally. So whilst there may be sadness when someone dies, there need not be fear. And now brothers, I will ask you a terrible question, and God knows I ask it also of myself. Is the truth beyond all truths, beyond the stars, just this: that to live without him is the real death, that to die with him the only life? - Frederick Buechner, The Magnificent Defeat.